Let’s start off with this sweet and simple setup on Cable! The pair dropped from the 1.5000 psychological level but it looks like it’s losing momentum right around the rising channel support. The 1.4900 area is a must-watch, as it could inspire a bounce for the pound bulls. Of course, it also doesn’t hurt the setup that Stochastic is currently in the oversold territory. 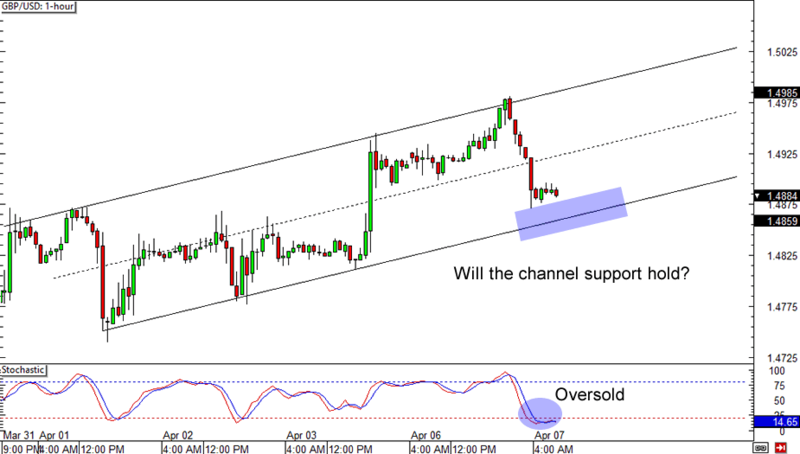 A stop below the channel support is a good idea if you’re one of the pound bulls, but you can also wait for a downside breakout if you don’t think the pound has any chance against the Greenback this week. Remember yesterday’s potential breakout setup? Well, it’s looking more like a trend trade on the lower time frame! 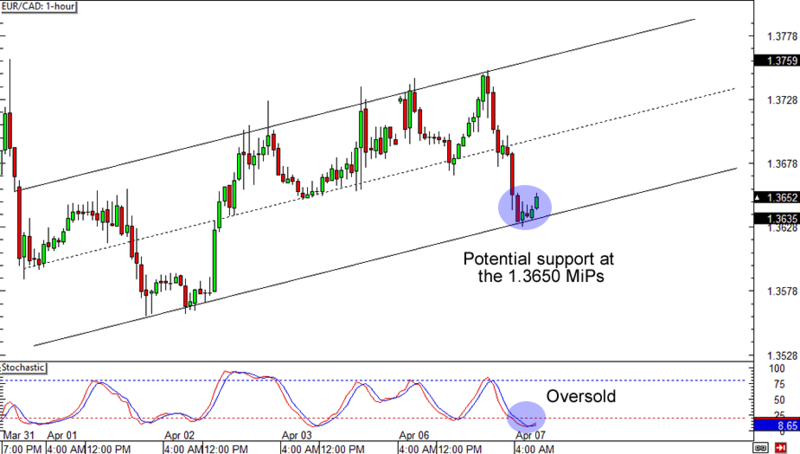 EUR/CAD got rejected at the 1.3750 area yesterday and eventually found support at 1.3650. What’s interesting about this is that it forms a convenient rising channel with the previous low. Will this mean more gains for the pair? Like in Cable, a stop below the trend line is a good play if you’re buying the pair. Just make sure you pay attention to your position sizes and potential volatility! Last one up for today is another simple setup, this time on USD/CAD’s 4-hour time frame. It’s not hard to miss that the 1.2425 handle has been a solid support level since the start of the year. Heck, Stochastic is even on the bulls’ side with an oversold signal! A tight stop just below the support zone is a pretty good play if you think the bulls aren’t done defending the area. 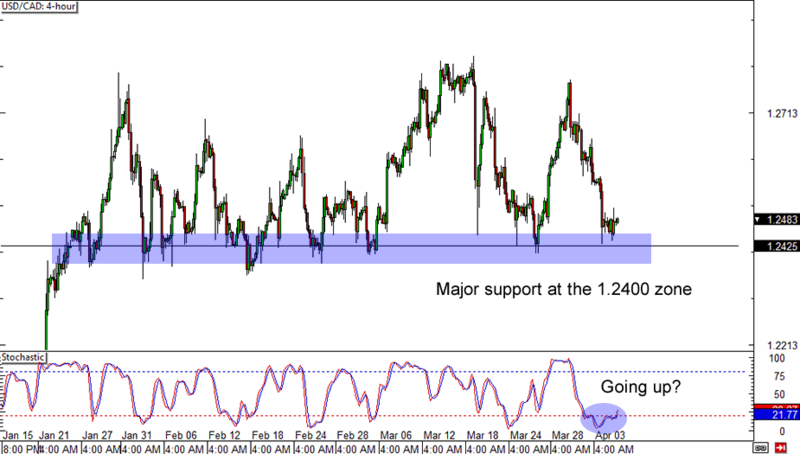 If you think that the Loonie is in for more gains though, then you might want to read up on trading breakouts and wait for a break below the major support level.